If we take a look at our modern makeup, it is interesting to note that though the products and techniques have gone through stages of enormous advancement, the fundamentals of makeup still remain the same. Humans have been using makeup to highlight their features for various purposes for as long as one can remember. This is particularly true in the case of lipsticks. From berries to today’s mind-numbing variety, the metamorphosis of lipsticks over time is an interesting tale that needs to be told. Here are good quotes about the greatness of the lipstick. 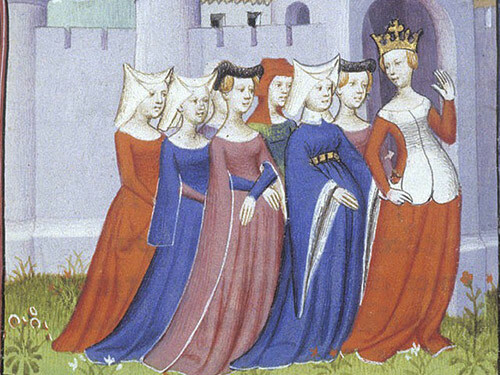 Now, let’s discuss more about the History of Lipstick. 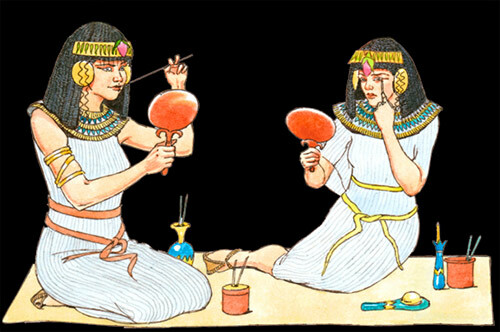 In ancient civilizations, makeup was a status symbol and both men and women indulged in applying makeup. Apart from aesthetics, makeup also had medicinal appeal. People from Sumerian civilization can be credited as the earliest users of lipsticks. The stain was procured from naturally occurring substances like fruits, henna, clay rust, and of course insects. Mesopotamian women were a little on the fancier side and used ground precious jewels to add color and shimmer to their lips. Egyptians, perhaps, were the first real lipstick lovers. Striking shades like purple and black were common.They derived color from some rather interesting sources such as carmine dye that was derived from grounded cochineal insects. In fact, carmine dye is still used in lipsticks and other products. However, Egyptians used harmful substances like lead and a mixture bromine man-nite and iodine which may result in serious diseases or even death. 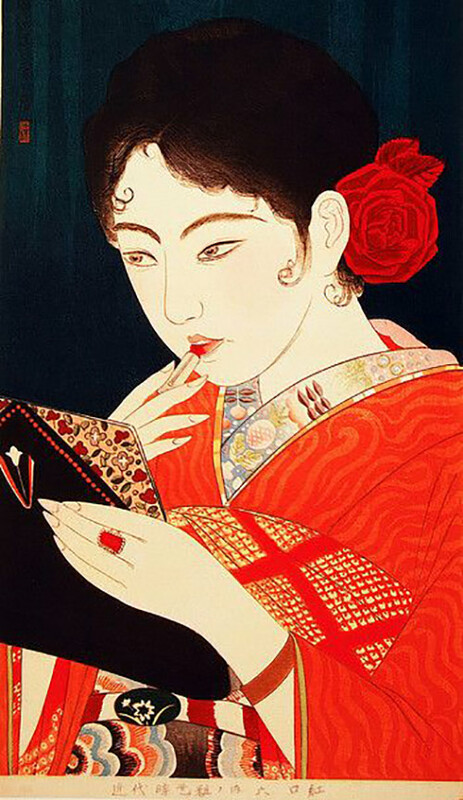 In Japan also women wore thick makeup and dark lipsticks derived from tar and beeswax. It was only in Greek Empire, application of lipsticks was associated with prostitution and prostitutes were under obligation to wear dark lips, by law. Somewhere in 9 AD, an Arab scientist, Abulcasis invented the solid lipstick. He initially made a stock for applying perfume which could then be pressed into a mold. He tried the same method with colors and invented solid lipstick. With the advent of Christianity and puritanical beliefs, the church condemned the use of lipsticks or any makeup, for that matter. Red lips were associated with Satan worship, and women sporting lipsticks were suspected of being sorcerers and witches. Apart from prostitutes, no self-respecting women sported colored lips. Lip salves, however, were popular and acceptable. Women thus secretly added color to salves or resorted to pinching, biting or rubbing lips with various materials to make them appear redder. 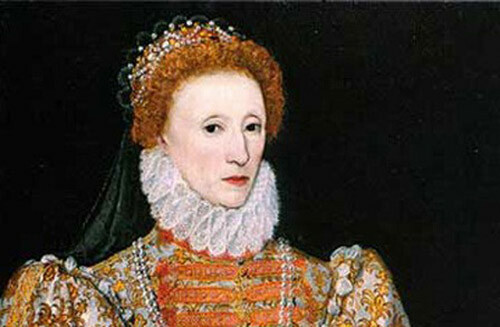 The lipstick re-appeared during Queen Elizabeth’s reign in England. She popularized pale white skin and red lips, but even the availability was restricted to noble ladies or actors and actresses who appeared on the stage. Till about three centuries thereafter lipstick remained accessible to actors and prostitutes. A French perfume company named Guerlain became the first company to produce lipstick commercially. Their lipstick was made with deer tallow, beeswax and castor oil which was then wrapped in a silk paper. Lipsticks in cylindrical containers were invented by Maurice Levy. 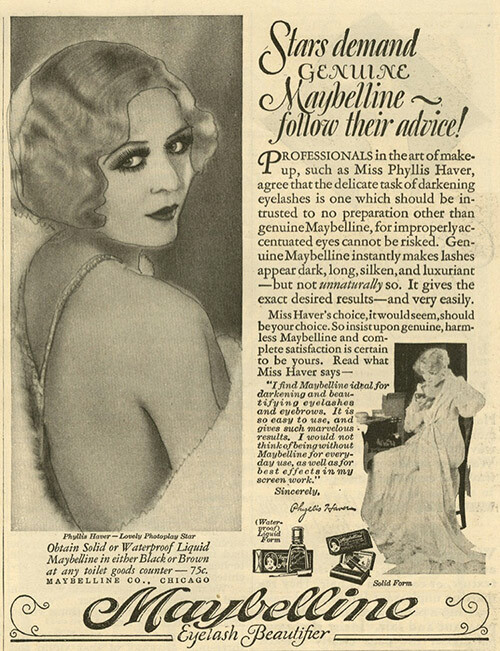 By 1920, lipstick had made a permanent place in the daily lives of women. In 1923, James Bruce Mason Jr. made the swivel up tube and gave us modern lipstick as we know it today. The fashion icons of the day were the silent era movie stars and people re-created their dark lips. Plums, aubergines, cherries, dark reds and browns were the most sought after colors in this era. It was inexpensive and mass produced. Magazines encouraged women to wear stylish colors and women diligently abided. Helena Rubenstein invented the cupid’s bow lipstick that promised to give the coveted shape to the lips. Women also used stencils to achieve the desired cupid’s bow shape of the lips. It was also in 1920s that the first wave of feminism came about and women demanded more rights including the right to vote. Lipsticks at that time were actually considered a symbol of feminism. It was also during this era that French Chemist Paul Baudercroux invented lipstick Rouge Baiser which was supposed to be ‘kiss-proof’ but was quickly taken off the shelf as women found it difficult to get rid off. Companies like Chanel, Guerlain, Elizabeth Arden, and Estée Lauder, started selling lipsticks. 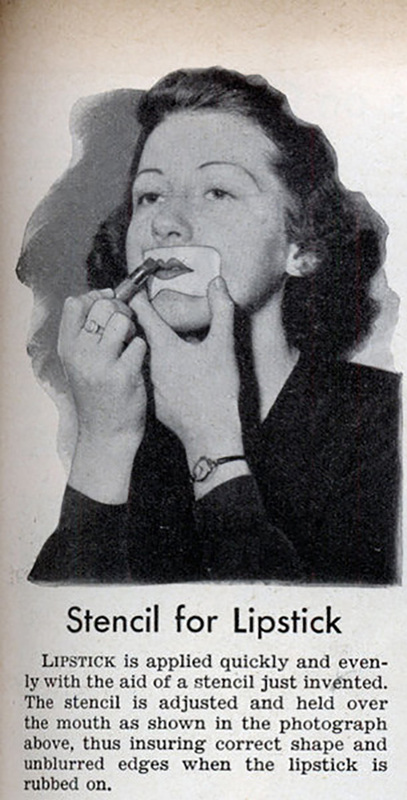 The love for lipstick was not deterred by the depression of this era. A survey revealed that 50% of teenage girls fought over lipstick with their parents (Mitchell, Claudia; Jacqueline Reid-Walsh (2007-12-30). Girl Culture: An Encyclopedia. Connecticut: Greenwood Publishing. pp. 396–397). After the jazz baby era of 1920s, 1930s was all about elegant and matte finishes. Max Factor started selling lip glosses and became a huge hit among the masses as earlier it was only reserved for Hollywood actresses. Hit by the depression, lipstick was an affordable luxury for the women in this era. Deep plum and burgundy were some of the preferred shades of this era. Going through the perils of the Second World War, women in the 1940s took to laborious jobs with men at war frontiers. The supplies of all materials were scarce, and as for lipsticks, the metal tubes were temporarily replaced with plastic and paper. Due to the lack of materials, makeup in this era was creative and breezy. Women were actually encouraged to wear reddest of the lips to boost the morale during the grim time of the war. Besame’s American Beauty was one of the most popular shades of red. This was the era when Hollywood glam icons such as Grace Kelly, Marilyn Monroe, Audrey Hepburn and Elizabeth Taylor were setting the trends all over the world. 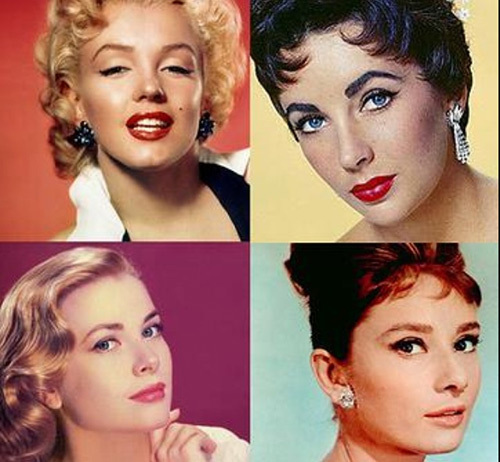 Women wanted to look like their favorite Hollywood actresses and lipstick was popular than ever. Bold red lips were especially popularized by Marilyn Monroe and Elizabeth Taylor and women in 1950s embraced the trend. Estee Lauder’s Envious was one of the popular shades. A survey in the 1950s claimed that 60% teenage girls wore lipstick. 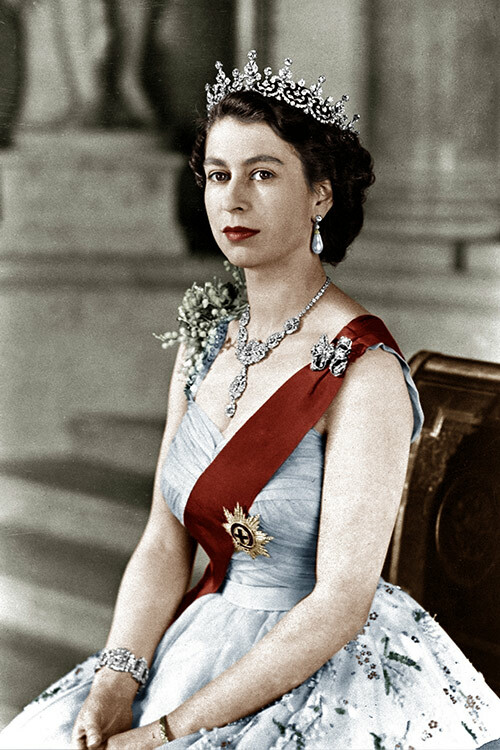 In 1952, Queen Elizabeth II created her own shade during her coronation. The shade was customized by Queen’s favorite brand Clarin’s and called the ‘The Balmoral’. The color matched her coronation robe. 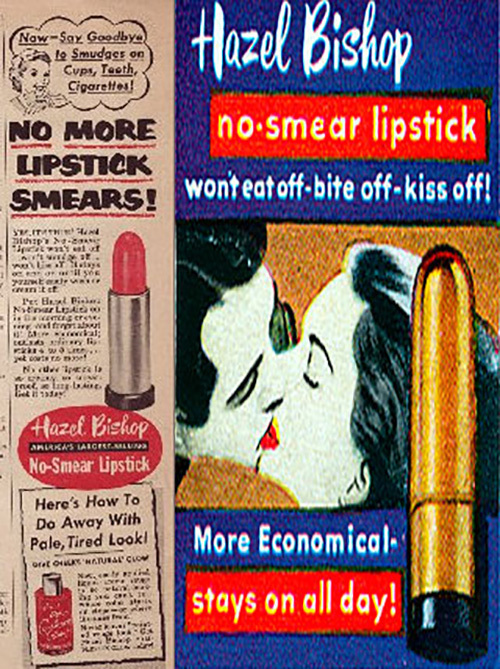 It was also during this era, Hazel Bishop successfully came up with a ‘kiss-proof’ lipstick. Soon enough, ‘Revlon’ came up with their own range of smudge proof lipsticks and then began the war of brands started. Lipstick drew inspiration from arts, and popular culture and a variety of shades came and went from the fashion scene. There was something to suit everybody’s preference. 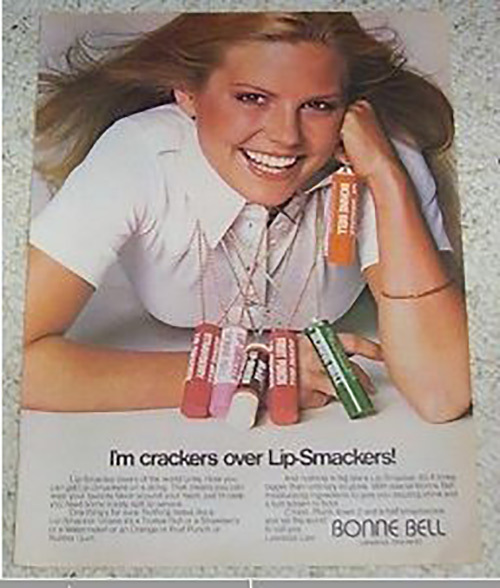 In 1973 Bonnie Bell introduced, ‘Lip Smackers’, that is lipstick with flavors. These became an instant hit with the younger crowd. Aerin’s Rose Balm Lipstick in Pretty and corals like Maybelline’s Orange Danger were some of the iconic shades of the era. 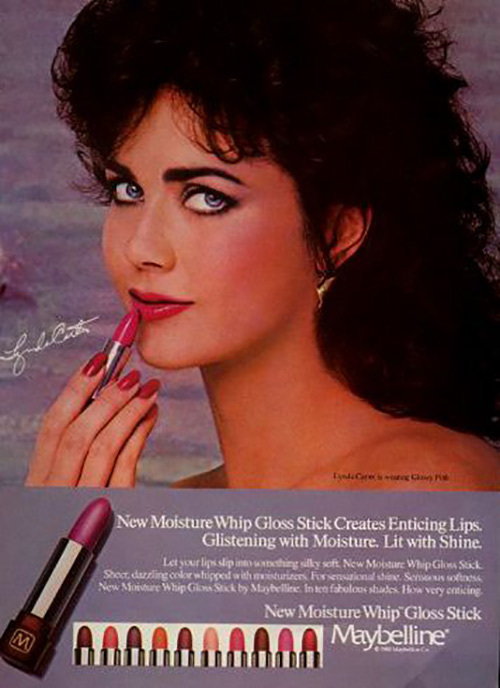 Lipsticks in the 1980s, much like everything was all about shimmers and gloss. The concept of power dressing came into being, and bold red lips were a statement once again. Matching your lip color with your outfits was common and in vogue. Hot pink lips became all the rage keeping up with dance party culture of the era. Goth lips were popular in some alternative sub cultures. This was the era of grunge and makeup was simple. People were getting more and more conscious about environment and demand for chemical free, natural formulas for lipstick grew. Tattooed or getting semi-permanent color on the lip was getting popular. But if the 90s is remembered as the era of lip liners. 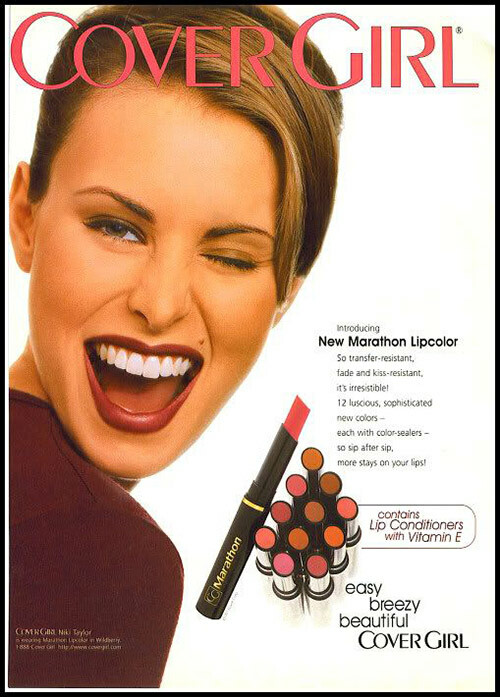 Nothing screams the 1990s more than darker lip liners with a lighter lipstick. Brands such as Mac and Urban Decay came into the scene. The 2000s was all about Britney Spears, Christina Aguilera, and Paris Hilton. Shine was in and lip glosses were the favorite accesories once again. 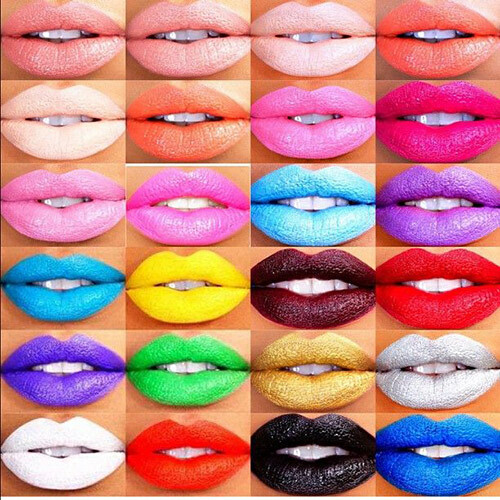 Now, the variety of colors and formulas of lipsticks available are mind-blowing, to say the least. According to a survey, on an average, women in U.S.A spend more than $3500 dollars on lipstick in their lifetime. In recent years the youngest of Kardashian-Jenner clan and social media sensation Kylie Jenner launching her line of lipsticks was perhaps another milestone in the history of lipsticks. From nudes to pink to even whackier options like yellow or green, lipstick has truly become a symbol of self-expression. 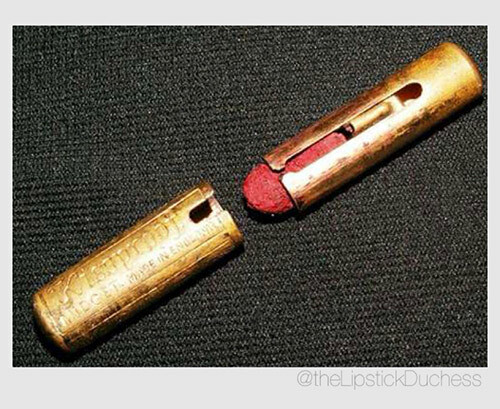 So the next time you open your purse and look at the tube of lipstick sitting there, just think about the amazing journey it has been through. Though lipstick has come a long way from grounded stones and dead insects to super advanced formulas that we have today, there is one thing that remains constant, that is, the ability of a lipstick to color us happy. 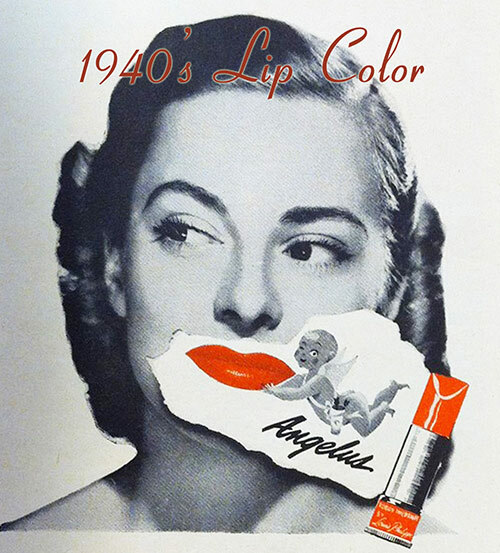 Tell us if you liked knowing about the history of lipsticks, in our comment section below. Previous articleDo You Have Blue Eyes And Fair Skin? Here Are Few Eye Makeup Options For You!